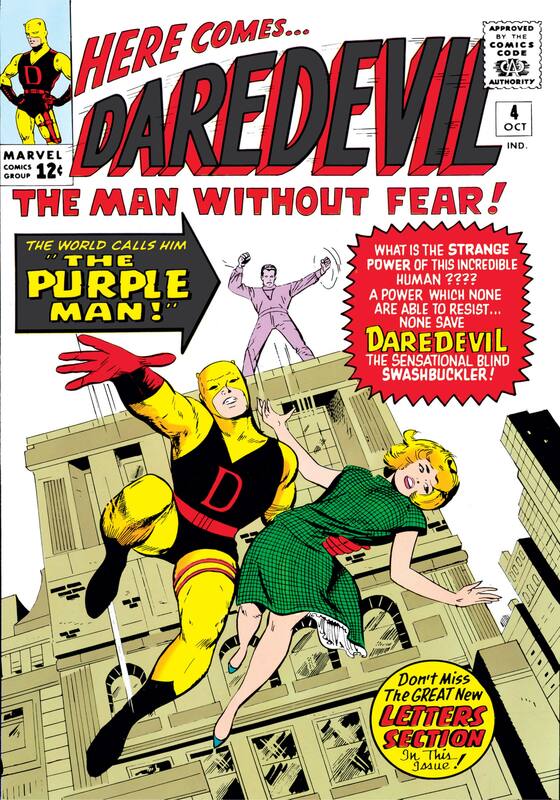 What Does David Tennant’s Purple Man Look Like in Marvel’s A.K.A Jessica Jones? Running off the critical success of Daredevil, Marvel’s plans for a gritty set of Netflix series show no sign of slowing down. Next up is A.K.A. Jessica Jones, based on Brian Michael Bendis’ comic series Alias chronicling the adventures of an ex-superhero turned private investigator who must battle her personal demons as much as the criminals out to terrorize New York. For comparison’s sake, what does he look like in the comics? Yeah, they had to tone him down for the show. But they’ve done a good job compensating with his wardrobe. 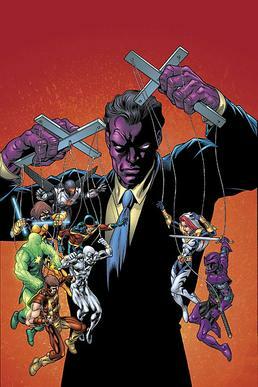 So, looks aside, who is the Purple Man? Believe it or not, he was originally a Daredevil villain, appearing in the fourth issue of the comic published in October 1964. His body produces pheromones that allow him to verbally control others to do his bidding. *POSSIBLE SPOILERS AHEAD* In Jessica Jones comic series Alias, during her super hero days The Purple Man uses his powers to brain wash her into doing his bidding. She hangs up her cape after breaking free. It’s very possible that will either be part of the premise of the show or the basis for season 1. Ah, good old mind control. Indeed. It’s safe to assume he had no trouble getting a prom date. Especially looking like David Tennant. Well, I’m interested. When can I see Jessica Jones? The show is still in production, but signs are pointing to possibly next year. That’s too long a wait. We understand completely. Luckily, we’ve compiled a list of Netflix shows appearing this year for your viewing pleasure. Pick your favorites and watch them to make the wait a little easier to bear.